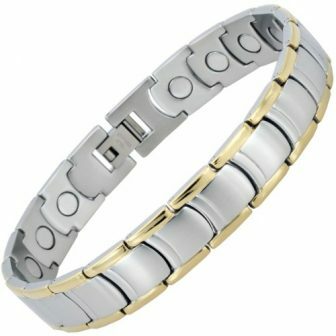 This bio magnetic bracelet for women is crafted from medical grade stainless steel and finished with a combination of gold plated and high polished surface. 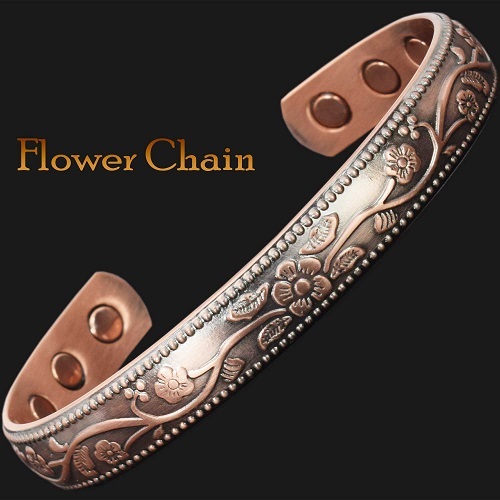 Adds elegance and style to any wardrobe and suitable for any attire. 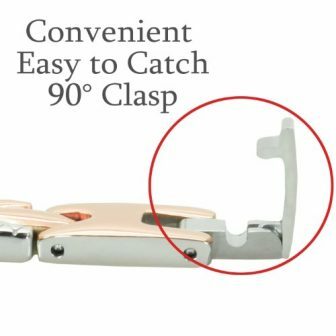 A fold over clasp ensures a secure and comfortable fit. 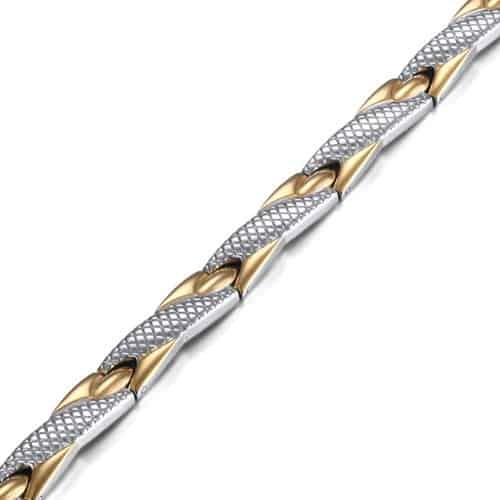 EXTRA STRENGTH: Contains two powerful 3000 Gauss neodymium magnets in each link to help alleviate pain and speed up healing by increasing the flow of oxygen and nutrients to the painful areas. Safe and natural way to relieve pain associated with arthritis, rheumatism, carpal tunnel syndrome, fatigue and migraines, improve blood circulation, energy, balance and sleep. 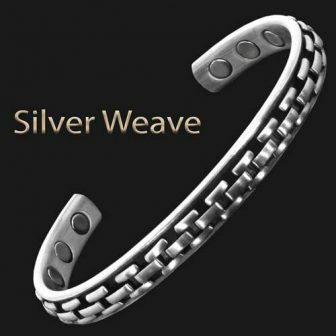 PREMIUM QUALITY & 100% HYPOALLERGENIC: Handcrafted from medical grade stainless steel for the highest quality. 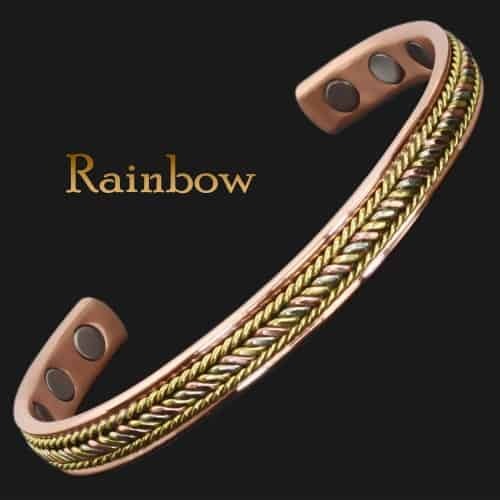 Guaranteed to be lead and nickel-free; our bracelets unlike others will not produce skin irritation or discolouration. High Quality Guaranteed! 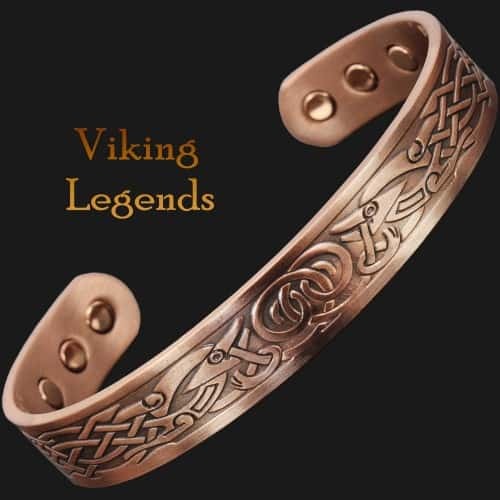 VARIOUS SIZES AT THE CLICK OF THE MOUSE: Just click and pick! 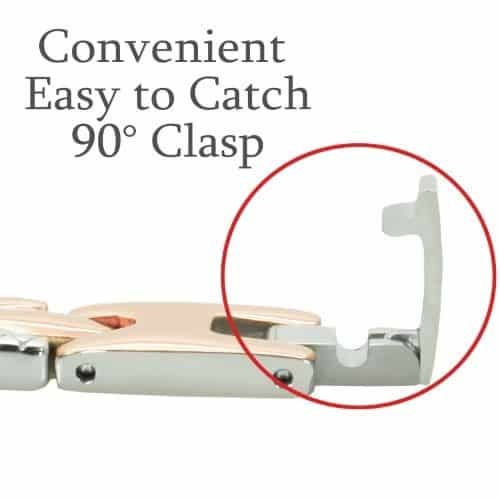 Professionally pre-adjusted to YOUR size; no need for cumbersome tools or take a trip to the jeweler. 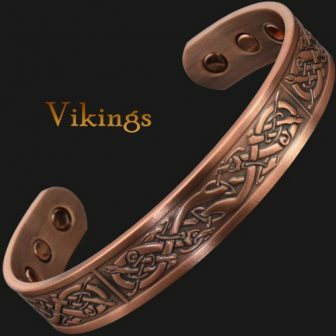 Your Bracelet Size = Circumference of your wrist + around 0.5 inch / 10-12mm. 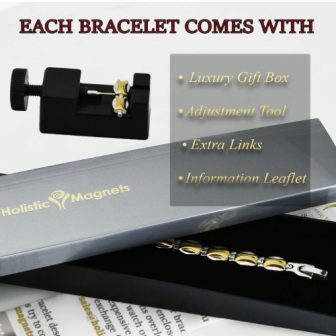 FAST DISPATCH: Ships directly from Holistic Magnets Ireland in a mailbox friendly envelope; no need to be at home to receive the package! AVERAGE SHIPPING TIME to the US / Canada / Australia is 6 – 14 working days, UK/Europe – 5/10 working days, most orders arriving within one/two weeks. 2. 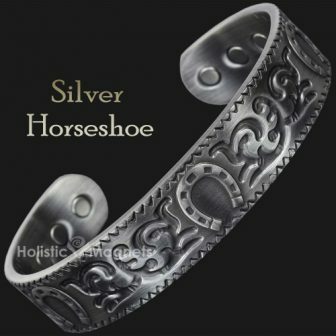 Add around 0.5 inch / 10-12mm. 3. 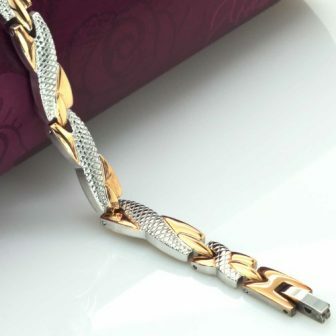 Choose the bracelet size closest to the total length. 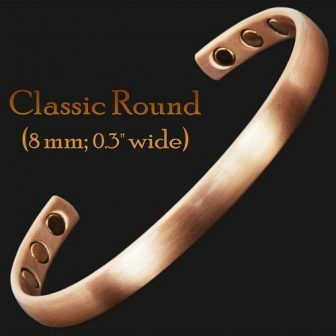 To Recap: Your bracelet size = Circumference of your wrist + 0.5 inch / 10-12mm. 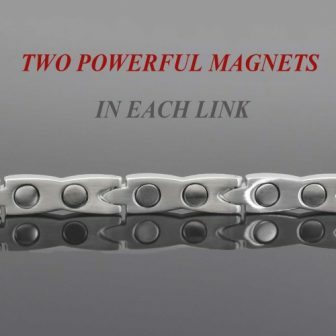 People with cardiac pacemakers should avoid using magnets. 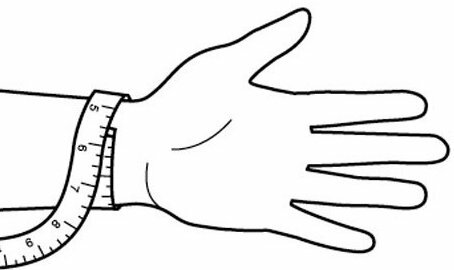 Measure your wrist with a flexible tape measure. Add about 10-12mm / ½ inch. 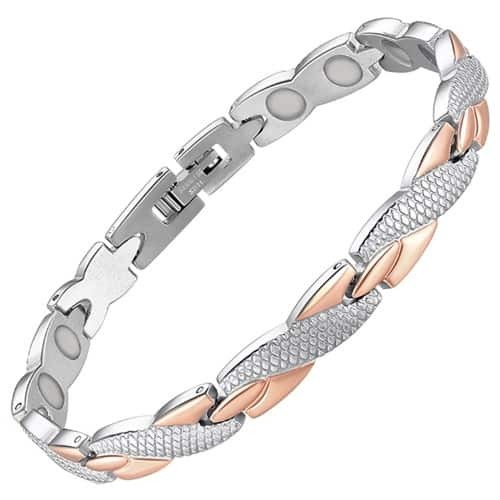 Choose the bracelet size the closest to the total length from the drop down menu above. 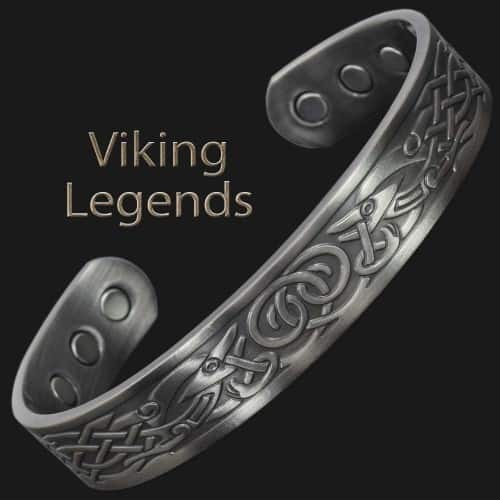 Only we offer a wide range of sizes at the click of the button. 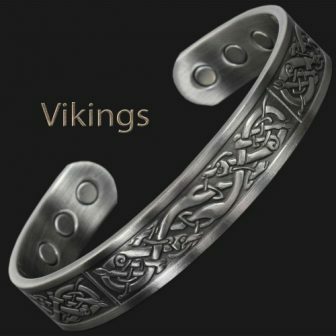 If you require a custom size, please let us via the Contact page and we will be happy to adjust to your size at no extra charge! 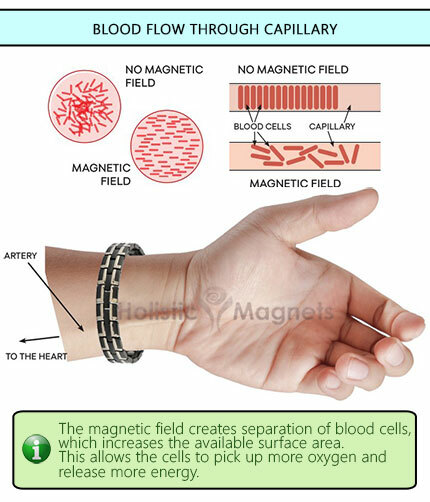 Healing with magnets has been around for hundreds of years. 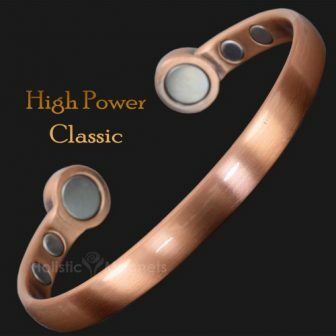 Recently, due to an increased interest in alternative medicine and news of some well-known athletes using magnetic therapy for pain relief, the interest in healing with magnets is on the rise ones again. 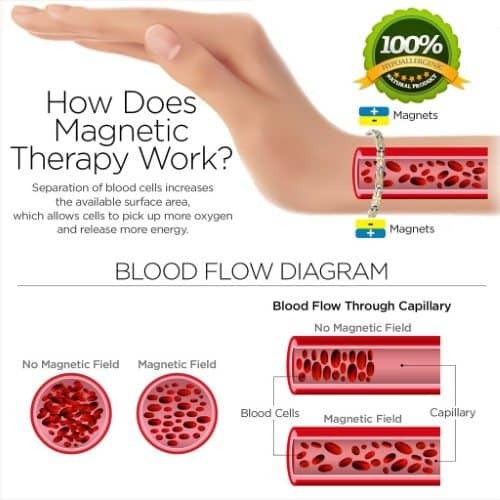 In spite of a limited scientific evidence to either support or deny the positive results of healing with magnets lots of people including hundreds of our customers swear by the benefits of magnetic healing. So, how do magnets work? In terms of reducing pain, some doctors believe that pain reduction with magnets works similarly to using a heating pad. The magnets are placed on or near the body, and are used to stimulate nerve endings by acting to interrupt pain signals to the brain. 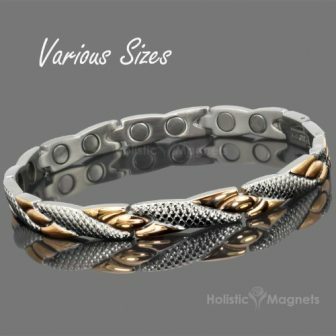 The difference is that heat treatment can be more intense, while magnetic healing is more constant. 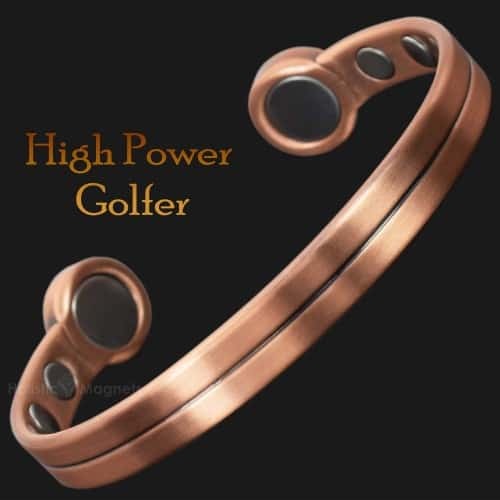 So, while you can’t wear a heating pad for hours at a time, you can wear a magnetic bracelet every day. In terms of healing an area of the body, magnets are placed either on or near the body, and it’s believed that the magnets act to stimulate the cellular and chemical area where the healing is to occur. That is, blood is accelerated to the area, which increases the oxygenation of the blood and dilates the blood vessels, providing additional oxygen and nutrients to the place in need of healing. Healing powers of magnets depends on their strength and polarity. 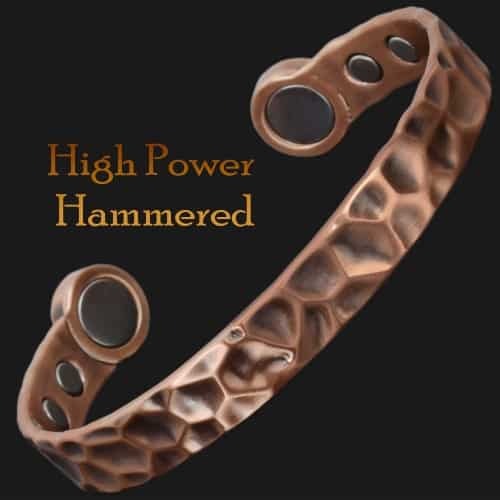 The force (magnetic field of energy) from a magnet is measured in Gauss strength. 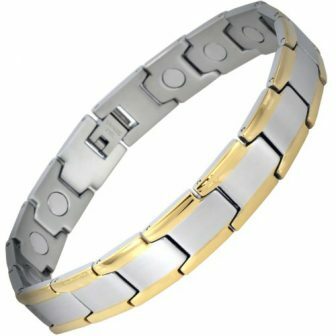 Magnets used for pain relief and healing typically measure between 300 – 3000 Gauss. Magnets have two different poles—a positive pole and a negative pole. For reasons most researchers cannot explain, applying the negative side of a magnet is effective, but applying the positive side of a magnet is not. When buying magnetic jewellery form us you can be sure that all our products contain neodymium magnets – the strongest permanent bio magnets available and are designed with the north pole of the magnet facing the body.